(Accordion). 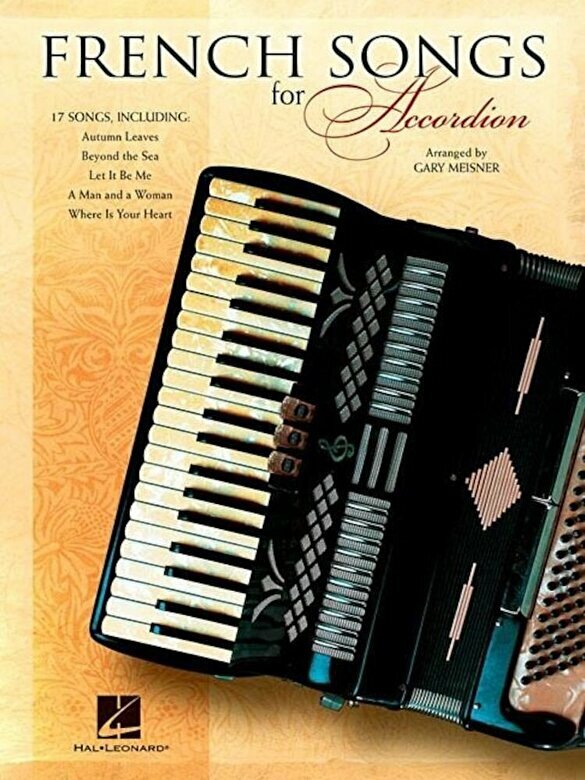 A tres magnifique collection of 17 French standards arranged for the accordion. Includes: Autumn Leaves * Beyond the Sea * C'est Magnifique * I Love Paris * La Marseillaise * Let It Be Me (Je T'appartiens) * A Man and a Woman (Un Homme Et Une Femme) * Under Paris Skies * Watch What Happens * What Now My Love * and more.